On Tuesday nights The Girl goes to Brownies. In my day we wore little brown dresses with yellow neckties (*nostalgic sigh! *); now they wear t-shirts, leggings and hooded tops. Which is possibly just as well, as there is no way I would get The Girl into a dress! And are we going to get chest photos of all your family??? Much more practical uniform these days. I had a dress, but we were allowed to wear leggings when we went on field trips. Maybe we were progressive? 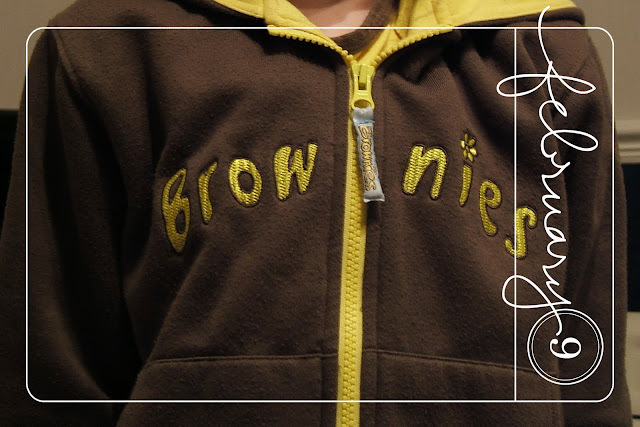 that jumper makes me want to be a brownie too. and I've NEVER thought that before! You can microwave a bowl of Grape Nuts with milk. They soften a bit, not as much as oatmeal but are a warm hearty breakfast with a bit of honey. We wore brown dresses with white shirts and green neckties for Brownies. I still have my brownie dress AND my Girl Guide tunic..along with my Guides Handbook!! Both truly Vintage by now!!! Grape Nuts?...Aren't those supposed to keep you VERY regular?!!! Not a bad thing I might add!!! Wow, didn't realise the uniform had changed so much! Looks comfortable though. 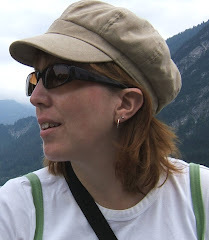 I was a St John's badger instead of a brownie, but my friend was and used to wear the dress. I remember those hideous brown dresses! !